AE Faulks Ltd offers a highly competitive quality plant hire service in the West Midlands, with a wide range of machines and vehicles available. All of our machinery can be hired on an operated or self-drive basis to suit your needs. Below is an introduction to the range of plant and vehicles we have to offer. Stepping up in scale from our micro, mini and midi digger range AE Faulks Ltd tracked excavators are available in sizes from 8t to 25t. With a choice of rubber or steel tracks and a selection of attachments including compactor plates and hydraulic breakers, this will guarantee greater manoeuvrability, flexibility and productivity. The availability of zero tail swing counterweights can be a boon on restricted sites, while bigger models with enhanced reach and break out force can tackle the larger projects – our range has an excavator for any task. Wheeled excavators provide great manoeuvrability and come in sizes from 10t to 19t for a great level of versatility. 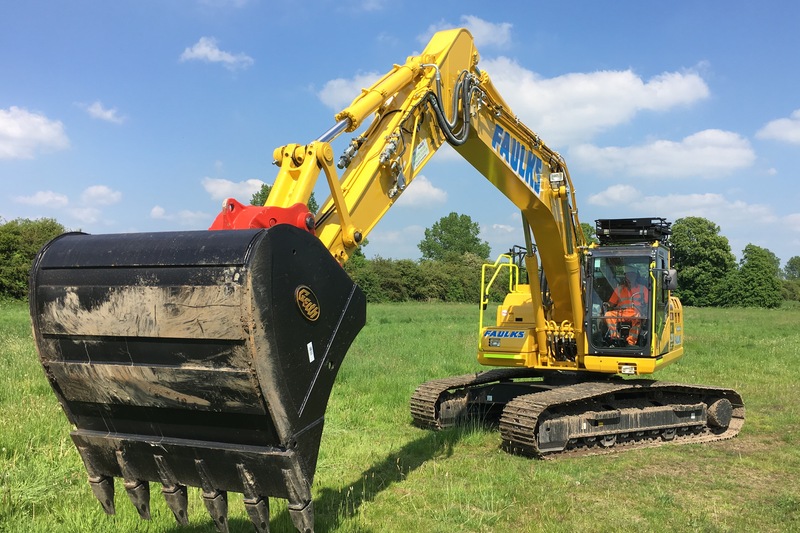 AE Faulks Ltd’s wheeled excavators are fitted with front blades and stabilisers ensuring stability when operating on an uneven surface or need to move a particularly heavy load. The dozers we have available to customers in the West Midlands are superb for stripping, infilling, shaping and trimming works. Fitted out for either 2D or 3D laser grade work and GPS levelling (with the appropriate type of automatic levelling equipment), these dozers provide the next level of productivity and accuracy. Fitted with low ground pressure tracks these dozers can keep going in the most demanding of site conditions. The Volvo A25 is a top of the line dump truck we have for hire. This articulated truck comes with 305 horsepower, a top speed of 53 km/per hour and a load capacity of up to 25t. All of this means that you’re getting a highly impressive dumper that can function in the toughest site conditions. 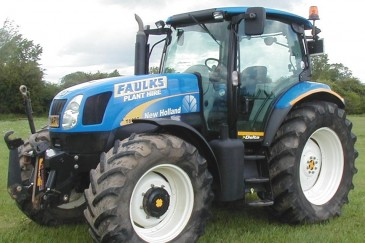 AE Faulks Ltd can also provide agricultural tractors for hire, like the New Holland T6.160 or the T7.185, giving you a high torque solution that nevertheless remains extremely manoeuvrable. Either tractor comes with a variety of mounted/towed attachments, such as dust suppression bowser and vacuum tanker hire, to match with the specifics of your project. Our modern Johnston road sweepers are equipped to undertake a variety of works due to their dual sweep function, gully attachment and on-board hand lance. Our operators are CPCS accredited and our sweepers are fitted with the latest safety technology. Contact us today to discuss your specific requirements or request a quote online. Whether you are looking to dispose of construction and demolition wastes or require recycled aggregates importing our fleet of steel bodied 8-wheeled tipper lorries are able to cater to even the most demanding sites. Contact us today to discuss your project’s requirements or request a quote online. 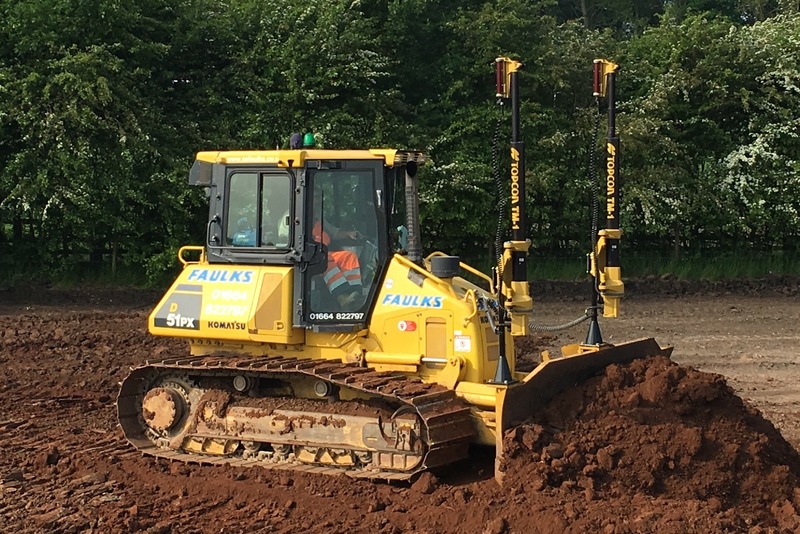 If you’re looking for plant hire in Birmingham, Coventry, Solihull, Sutton Coldfield or Walsall areas and need a plant hire provider, look no further than AE Faulks Ltd. Fill out the contact form below for a quick, no obligation quotation.